Japanese legwear brand and underground designer boutique Avantgarde Harajuku is shutting its doors at the end of November, 2014. 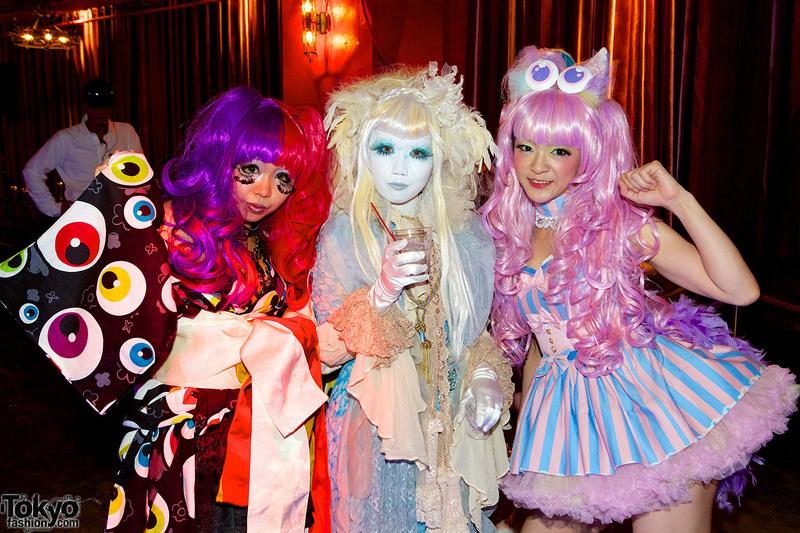 Fashion snaps from the Candy Pop Harajuku-themed party and kimono show in Tokyo – with several popular Japanese magazine models! Pictures and video of the kimono fashion show, Japanese magazine models, DJs, dancers, and more at the Candy Pop Summer 2013 celebration in Tokyo. Harajuku style icon Juria Nakagawa wearing Nicopanda fashion, blue hair, and dramatic eye makeup. 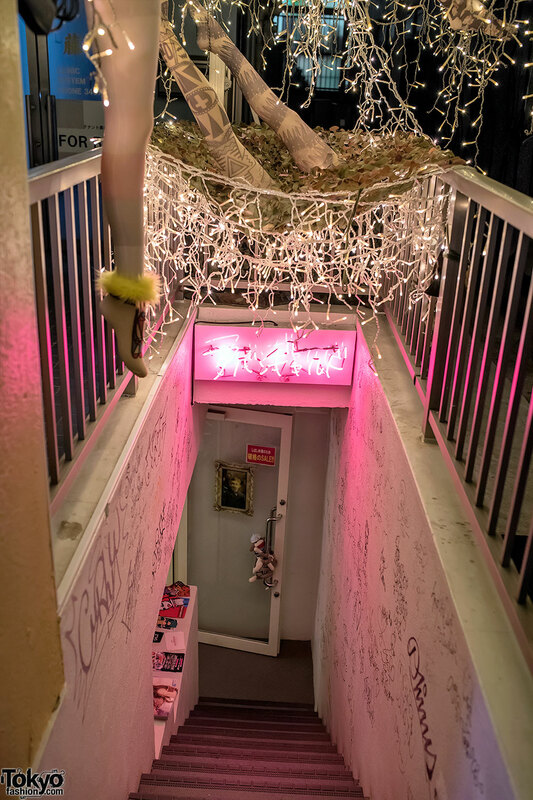 Pictures of the Nicopanda Harajuku popup shop at Laforet. With Nicopanda founder Nicola Formichetti and Harajuku models Juria Nakagawa & Hirari Ikeda. Juria Nakagawa from AvantGarde Harajuku wearing flame tights with a Topshop dress and Jeffrey Campbell platforms. Harajuku style icon Juria Nakagawa with pink hair, horn beret, leather skirt and AvantGarde graphic tights. Juria Nakagawa of Avantgarde Harajuku wearing flame tights, spiked Jeffrey Campbell platform shoes, and Vivienne Westwood accessories. A profile of the trendy Tokyo legwear shop Avantgarde Harajuku and their brand Mam Avantgarde – with lots of pictures of the shop and tights. Harajuku’s self-proclaimed “fancy girl” Juria Nakagawa wearing tattoo tights, short shorts & lavender boots.